I would recommend this book for kindergarten. 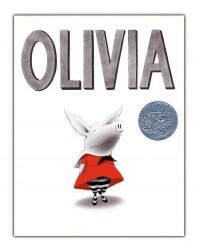 It's a cute little book about a pig named Olivia. This book goes through Olivia's day and can easily be used for a some sort of class lesson plan. One activity could be having the students come up with a graph as a class (since this is kindergarten).One side could be activities that Olivia actually did and the other side could be activities pretended that she did in her head. This book could also provided many art activities that a teacher could come up with to complete with the chart group work.